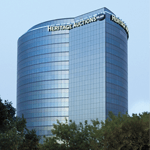 Get a formal, written, fair market value appraisal from Heritage Auctions. Our superb team of experienced specialists are here to help with formal appraisals for a variety of purposes including Insurance, Estate Tax, Estate Planning, Financial Planning and Gift Tax. Initial assessments are complimentary. Customary service fees apply to completed appraisals. Formal written appraisals will require fees and charges based on our Appraisers' time and administration costs. Appraisal fee schedule can be viewed here. If you do not require a formal written appraisal, please fill out our free auction evaluation form. Please provide as much information as possible. Heritage Appraisal Services will contact you shortly to discuss your appraisal request.